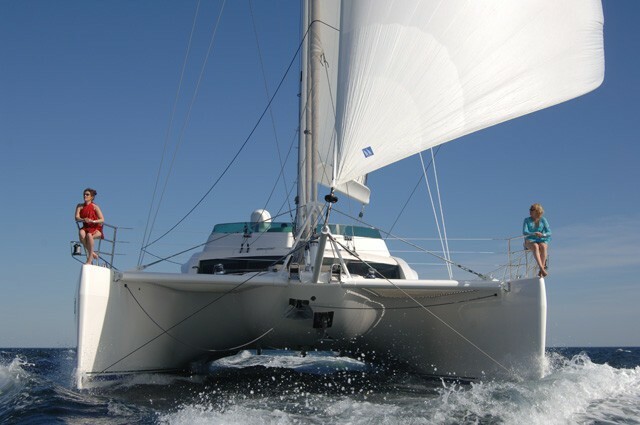 Sailing Catamaran MATAU is a Privilege 745 launched in 2005 by Alliaura and designed by Marc Lombard. 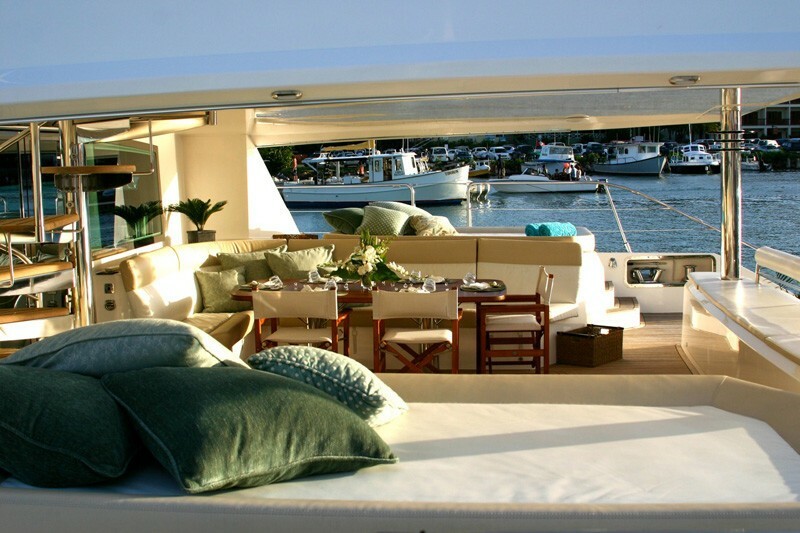 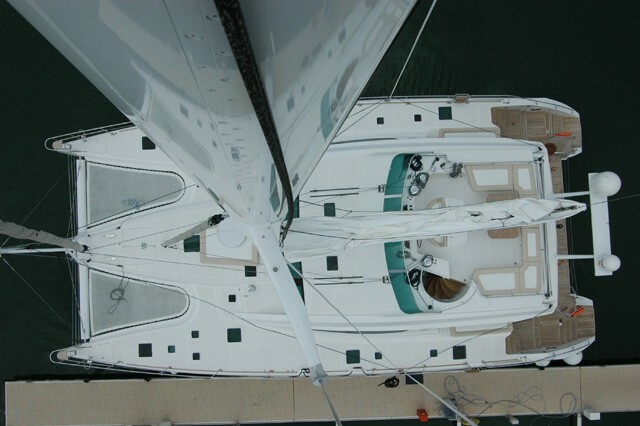 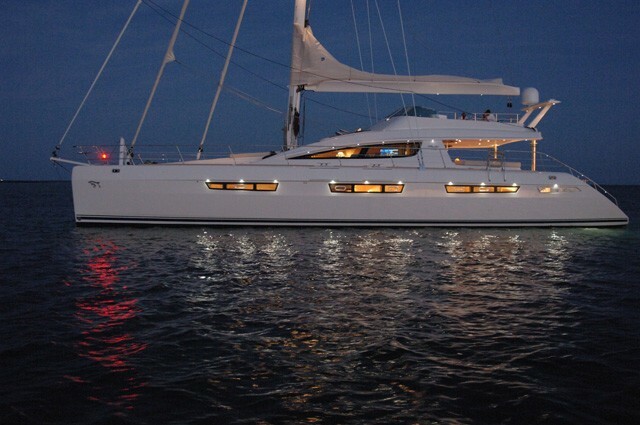 She is now available for charter in the Caribbean and afar. 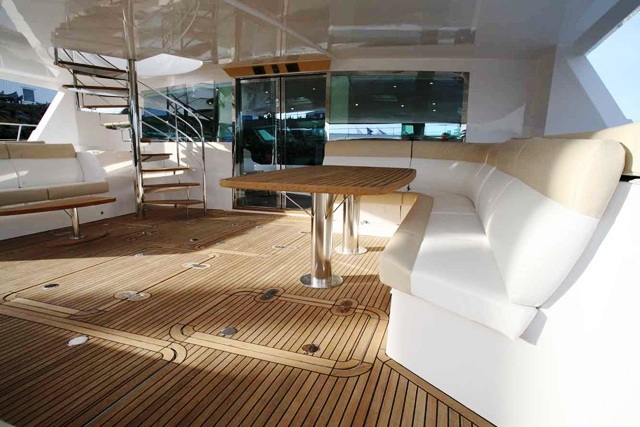 With her sleek lines, functional flybridge, contemporary décor and spacious cabins, the Privilege 745 is a real head turner. 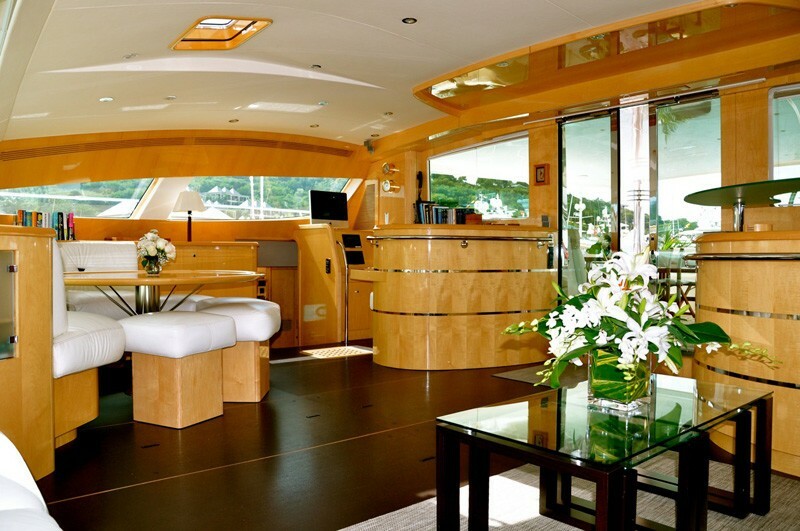 The flagship from Alliaura, the new Privilege 745 is a stunning masterpiece of advanced technology and quality craftsmanship. 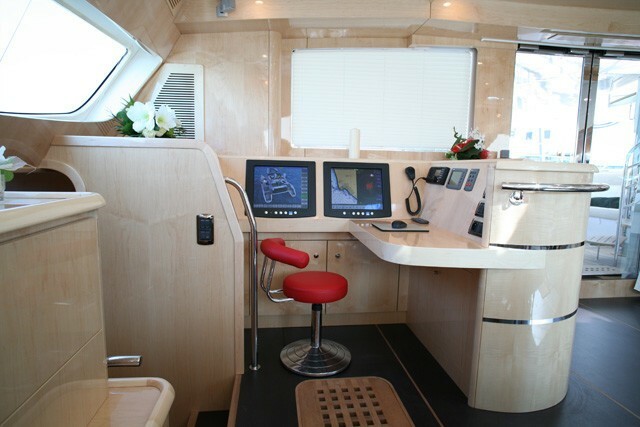 Marc Lombard’s design excellence is proven once again with ample volume created by the bridge deck helm station. 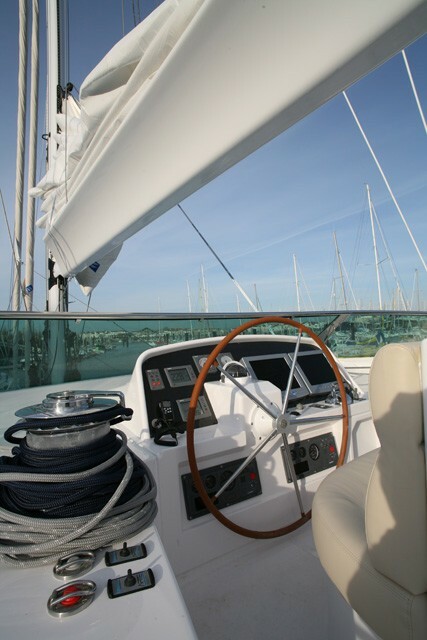 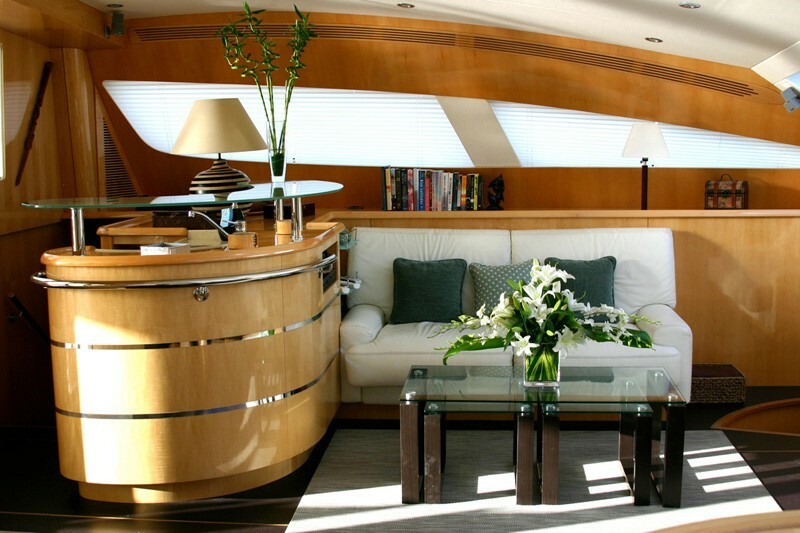 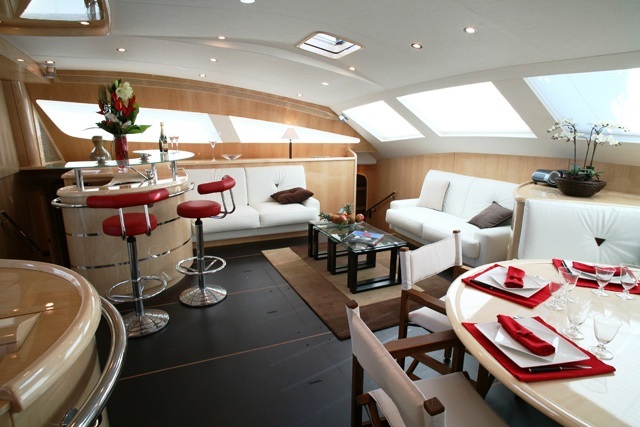 All sail handling systems and controls can be operated from here leaving the aft cockpit uncluttered and completely available for guest enjoyment, entertainment and alfresco dining. 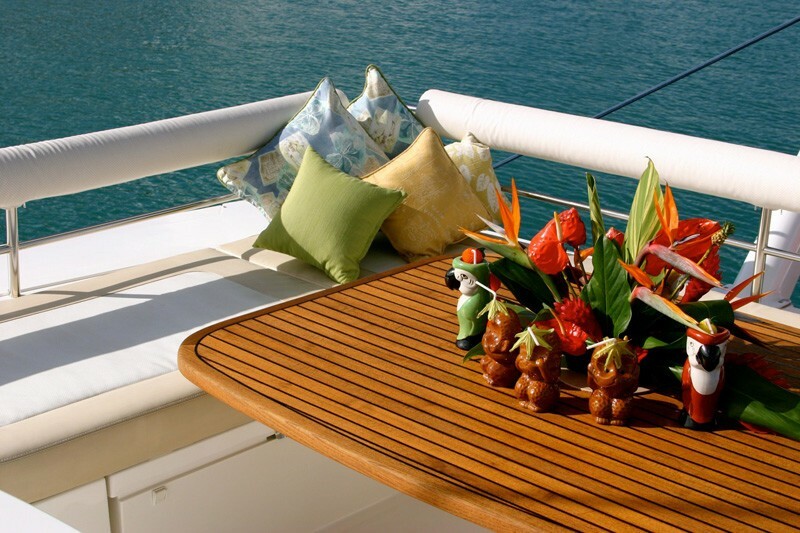 The bridge deck is however used to full advantage with the added advantages of a seating area, table and a sunbathing platform allowing guests dazzling surrounding views. 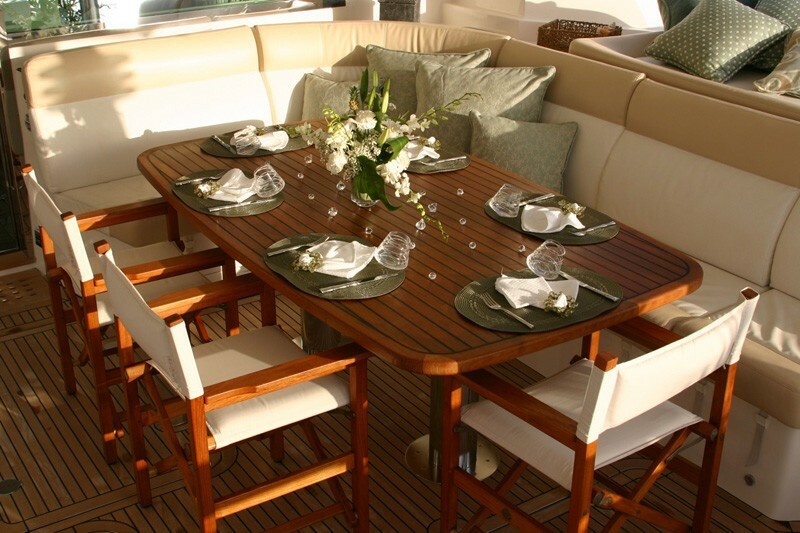 MATAU’s elegance and practicality continues inside. 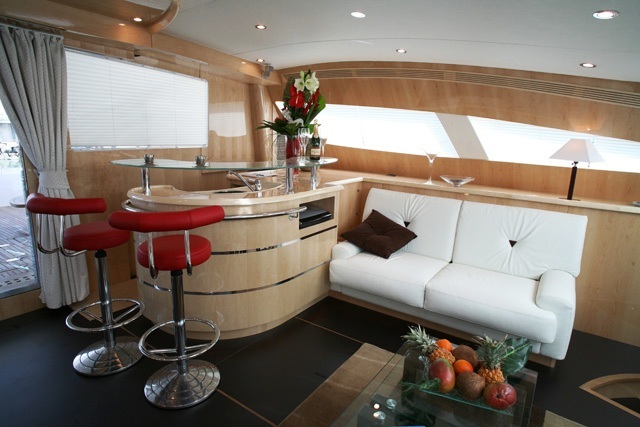 The interior décor is art deco style with pale wood, white leather upholstery and sophisticated black and red accents – the perfect setting for a drink or a stylish dinner. 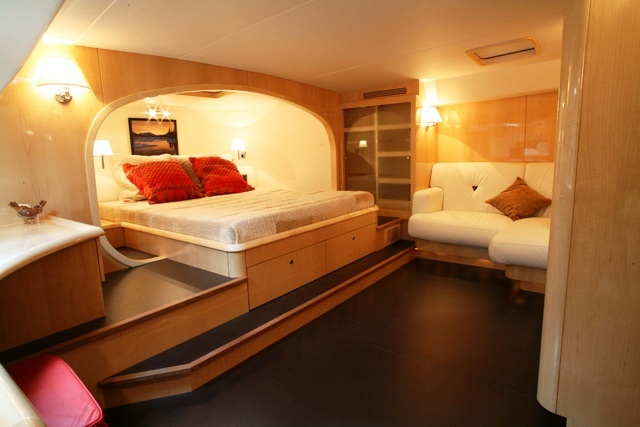 Sailing Catamaran MATAU offers accommodation for eight in four spacious cabins. 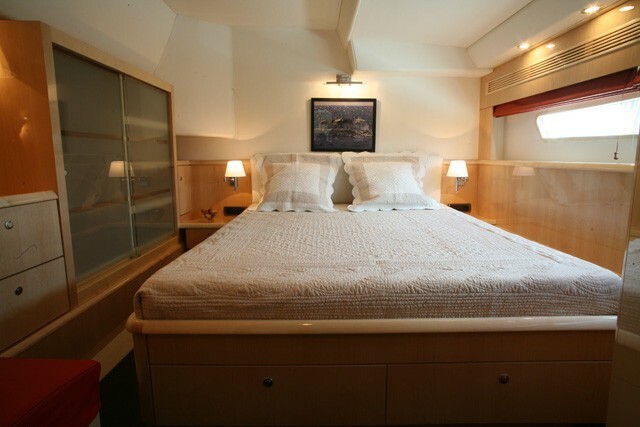 The master is most impressive with a large king sized centre-lined bed and a private ensuite furnished with a luxurious full-size Spa Pool tub. Three further spacious cabins offer queen sized beds and each has a private en suite. 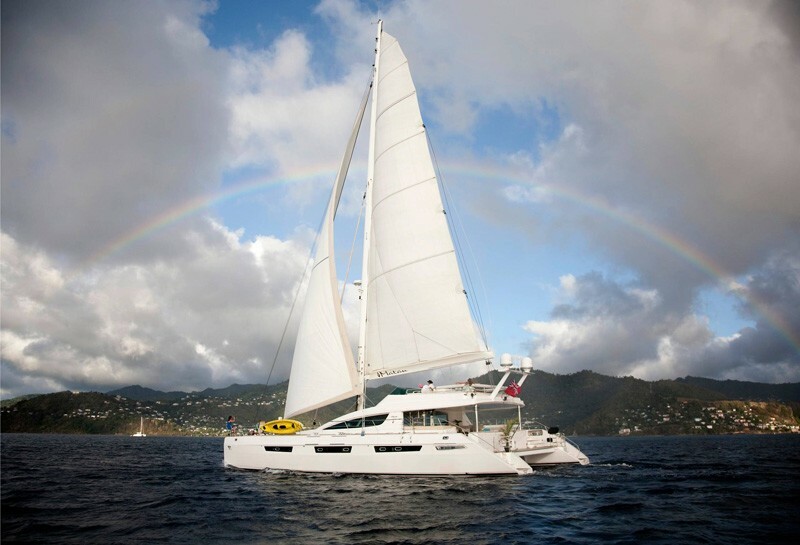 Sailing Catamaran MATAU is undoubtedly one of the most luxurious catamarans currently available for charter in the Caribbean. 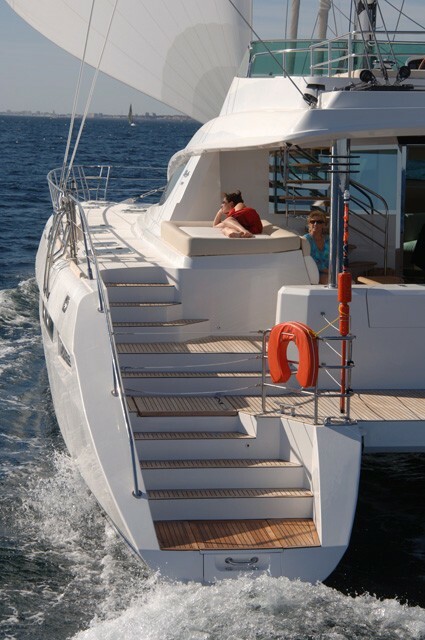 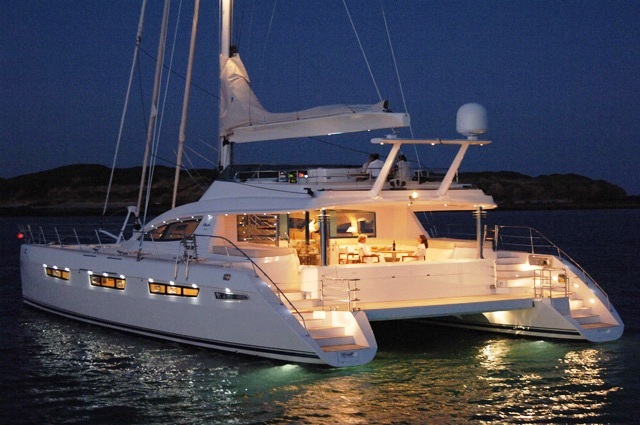 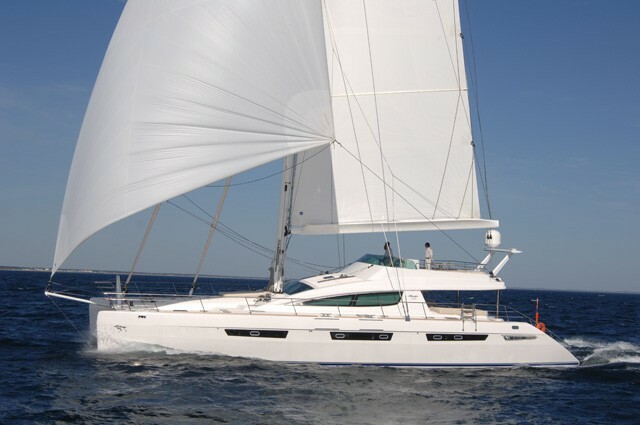 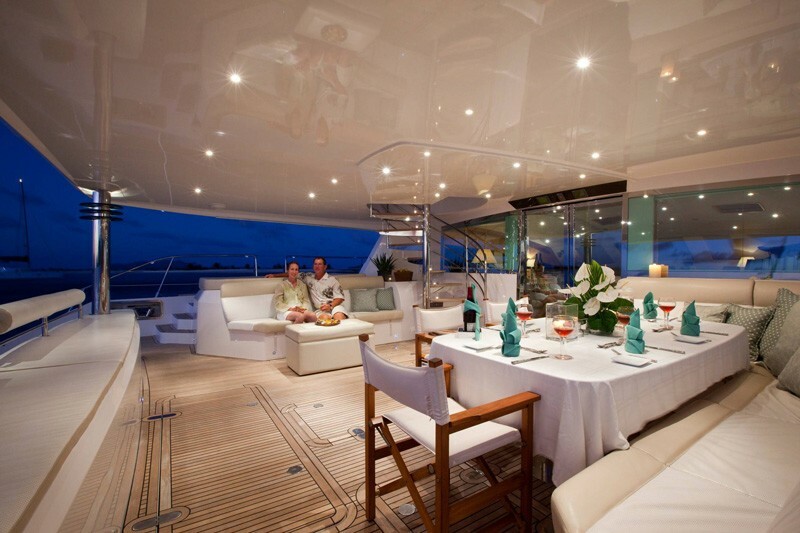 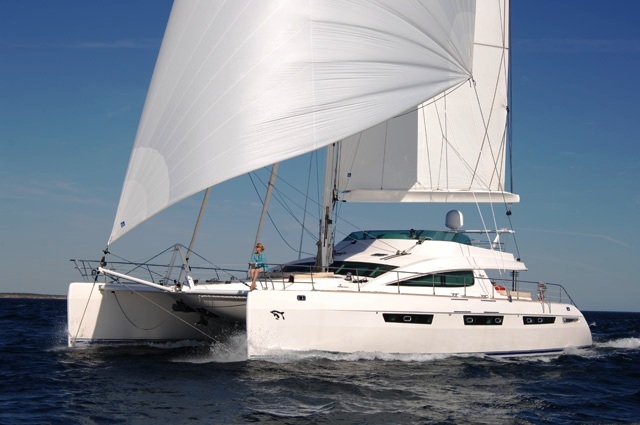 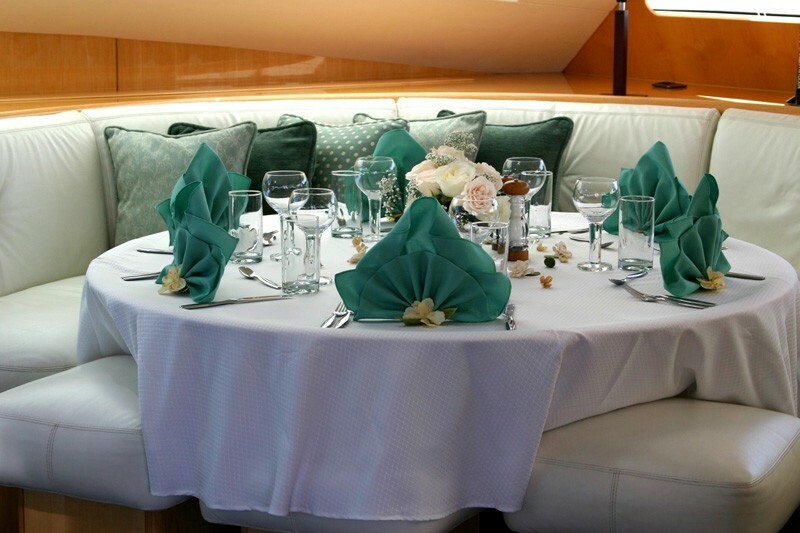 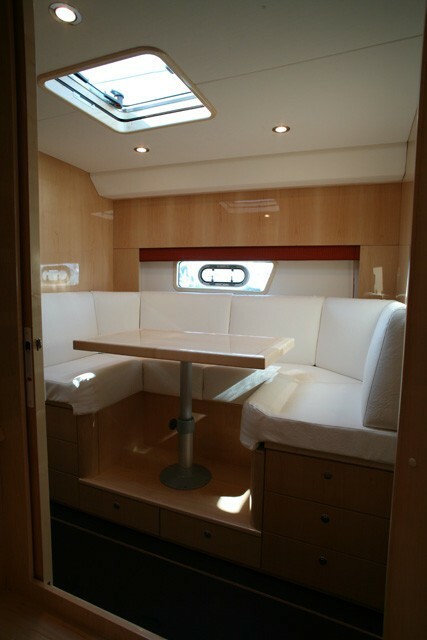 The Privilege 745 sailing catamaran MATAU offers luxurious accommodation for 8 guests in 4 spacious cabins. The master cabin is equipped with a king bed and has a large ensuite head with a spa pool tub and separate shower. 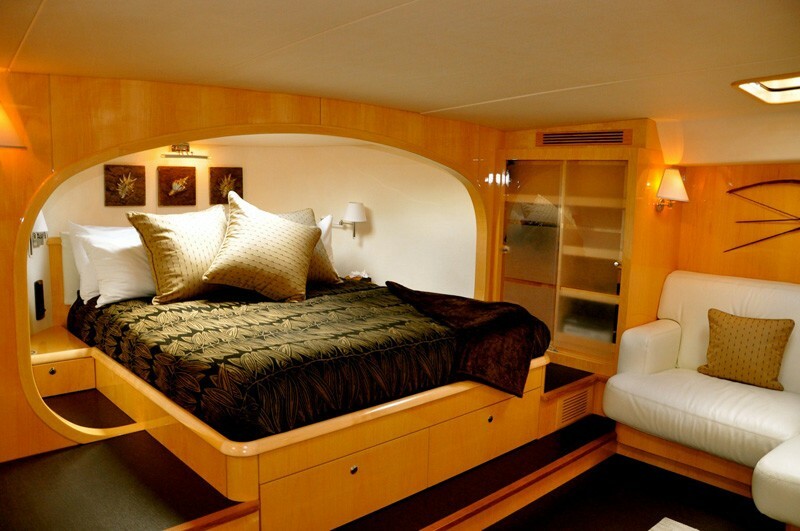 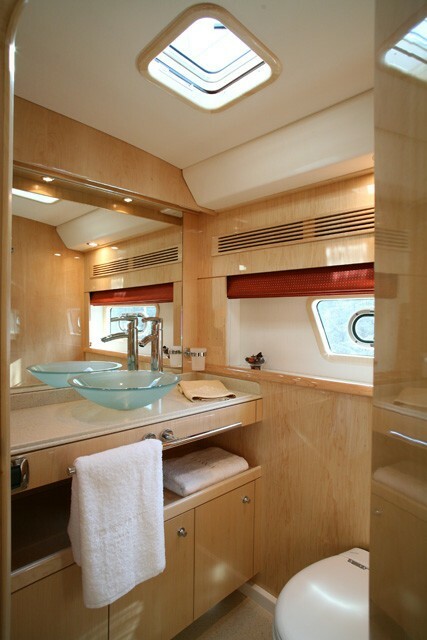 Three further cabins are equipped with queen sized beds and private ensuites with shower stalls and toilets. 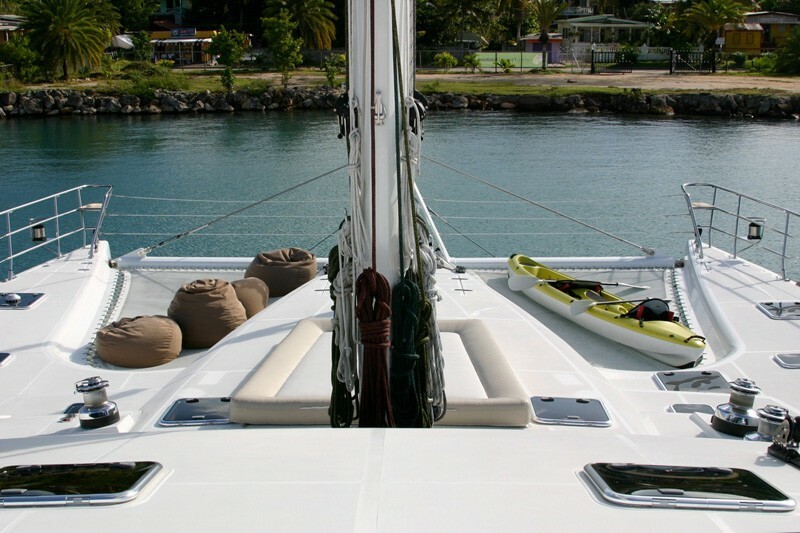 Sailing catamaran MATAU is a Privilege 745 and is equipped with a range of entertainment facilities and toys including a Arimar 16' dinghy with 90hp outboard, Water Skis, Snorkel Equipment with fins in various sizes and fishing Gear. 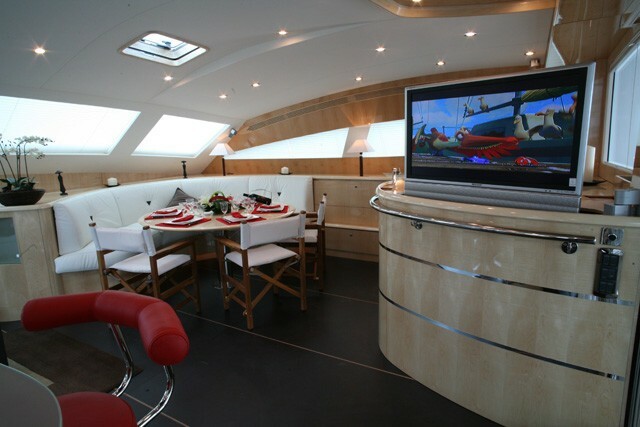 Audio Visual Equipment includes a flatscreen TV, DVD and CD player in the salon. Each cabin is also equipped with entertainment facilities.